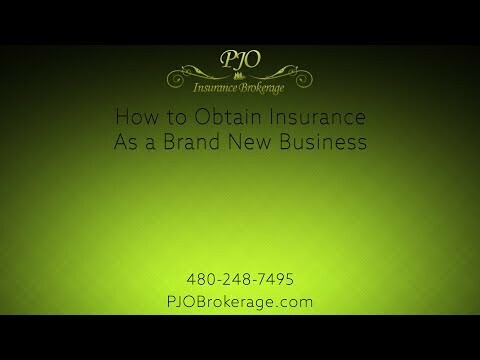 Insurance for businesses in Phoenix Arizona is best handled by the skilled agents at PJO Insurance Brokerage. When it comes to offsetting risk, establishing policies to protect assets, covering executives and limiting liability, look no further than Patrick O’Neill, the owner of PJO Insurance Brokerage. With over 50 years of combined experience in the insurance industry, PJO Insurance Brokerage has a distinct advantage over other brokers. Insuring businesses is a skilled business. For professionals, the liability that is generated is many fold. If an AZ architect has a project and the build-out becomes complicated or results in injury or structural failure, the architect may be sued. If an E-commerce site fails to operate, the web designer may be liable for lost business. If a medical practitioner commits malpractice, the resulting fallout can leave them exposed to lawsuits and other reprisals. To protect your partnership, corporation or other business, you must have PHX general liability coverage and any other type of coverage your field demands. Phoenix is a vibrant city, with a diverse socio-economic mix. Businesses of all sizes, from large multinational corporations to small local sole proprietorships and LLC’s call PHX metro their headquarters. There are several business districts in Arizona, most of which are either in the downtown phoenix area or the famous Camelback corridor. 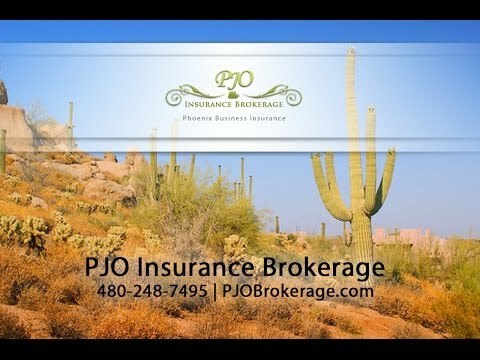 Please note, PJO Insurance Brokerage serves all of Arizona as well. PJO Insurance Brokerage has maintained its integrity by delivering the best Phoenix business insurance solutions to their clients. We have professionals in each field that can answer your questions about the differences in the types of business insurance. We care about protecting the businesses in Phoenix with excellent coverage while delivering competitive rates for savings. The business insurance that a bakery business needs may include commercial general liability with products insurance and commercial umbrella insurance as well as property insurance to cover their equipment. A roofing company may need general liability and inland marine insurance to cover their equipment at the job site. A nursing home may need Phoenix insurance, liability insurance, professional liability, and property insurance amongst other types of available coverages. Understanding the different types of insurance and the combinations that are needed to cover your business are vital to ensure that your business can prosper without concerns. To determine the types and extent of coverage required, consult a qualified phoenix business insurance brokerage. Patrick O’Neill and his staff are able to get competitive rates available for clients. The most important thing a business can do is to cover their assets and mitigate the business’ risk. Consider this: even if a company does everything right, a single lawsuit, liability claim, or large theft can cause a corporation to fold resulting in employees who are let go, assets that get seized and reduced to cash at auction, and other repercussions that could have been avoided by obtaining the proper insurance before opening. Starting a business in Phoenix can be exciting. 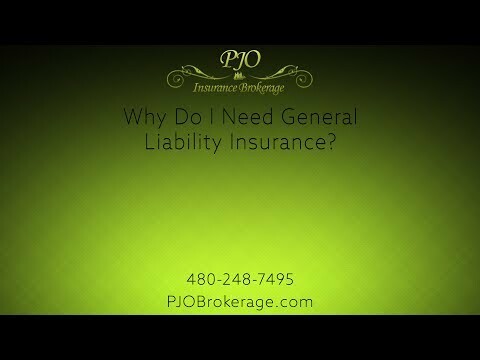 PJO Insurance Brokerage can help you find the best general liability to protect your start-up business. Are Your Current PHX Business Insurance Policies Protecting You? Patrick, at PJO Insurance Brokerage, can help you review your business insurance policies to determine if your business is well protected. Having a general liability business insurance is a great start to protecting your business in Arizona. Call Patrick to schedule an appointment. Located within the Valley of the Sun, which is also known as the Phoenix Metro area, is the city of Phoenix, itself, which is known for many interesting things including being the capital of Arizona. One little known fact about Phoenix is that it’s the largest capital city in America because of the amount of land and, also, because it’s the only one with over one million people. The Phoenix Metro Valley is home to over 4.1 million people and several Fortune 500 companies. The valley is buzzing with people, vehicles, schools, construction, repairs, maintenance and commerce. As you drive around the valley, you will see new construction is occurring and roads are being paved. In the residential areas, you will see new roofs being installed, renovations, and zero-scaping being done. The plazas are filled. All of which are good signs for a flourishing metropolitan area. 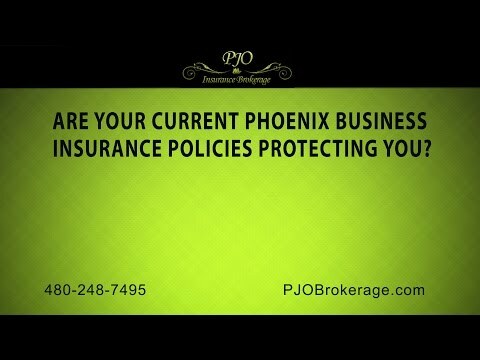 PJO Insurance Brokerage can help you determine the necessary Liability insurance policy for your city of Phoenix business that suit your needs for coverage protection as well as the needs of your budget.